Apple has starting testing a new search suggestion feature for the App Store, according to reports. It is designed to both enhance search functionality but also to aid in new app discovery. At this point the feature has begun to slowly roll out to iOS 7 users, but does not appear to be available on iPad or desktop systems. The new suggestions features, adds related results for the users current search term. Users can then quickly tap on suggested results to bring up a new set of results. It looks as though the suggestions are mostly category-like results, loosely based on the current search term. For example, a search for Twitter apps brings up categories like news, traffic and photo editors, and a search for news reader apps will bring up things like business news and feed reader. Exactly how these suggestions are made is unclear at this point. Some suggest it could be Apple curating sets of apps, but it could also just be a combination of keyword, developer ASO (App store optimization) and popular search term data. 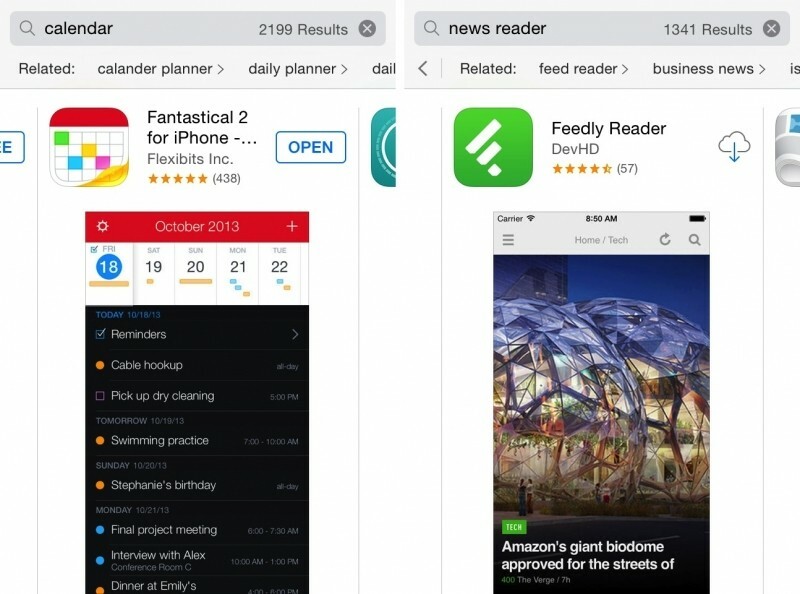 When Apple acquired App Store search engine Chomp back in 2012, many believed it was in order to enhance the popular marketplace's search functionality. While we have seen minor updates and changes to app discovery on the App Store, both iOS 6 and 7 have launched without any apparent influence from Chomp.